Miller supplies custom manufactured sheaves and winch drums for engineered systems. Applications have included cast and fabricated sheaves for mobile drilling units, deep sea pull-in systems with composite bearings, industrial mills, deck cranes, crown sheaves, and many others. 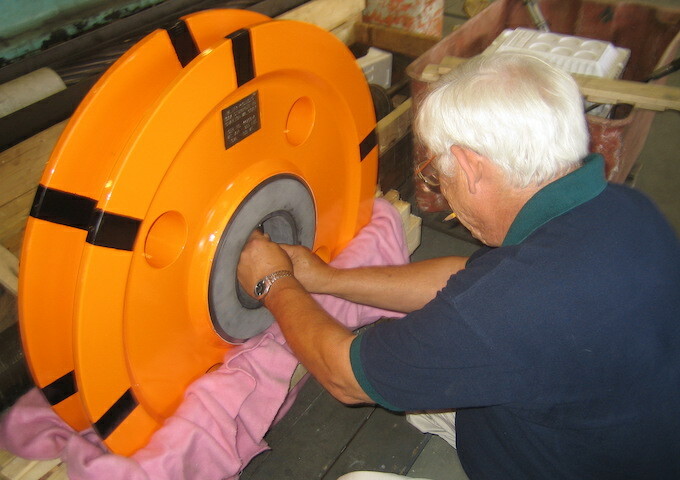 Cast sheaves are manufactured up to 4 tons gross weight. Diameters to 130". Sheaves can be manufactured to meet special requirements, API, ABS, etc. See Specs for our Custom Sheaves Request for Quotation form.